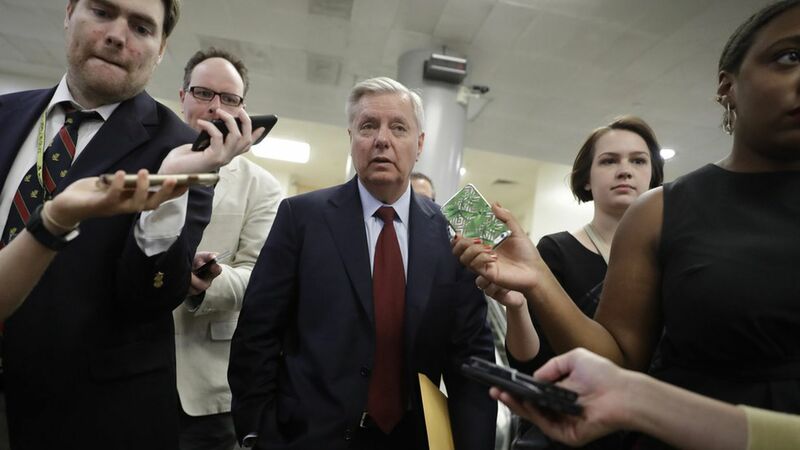 Lindsey Graham: "If Sessions is fired, there will be holy hell to pay"
Sen. Lindsey Graham blasted President Trump's most recent attacks to CNN reporters this morning. On attacking AG Sessions: "I'm 100% behind Jeff Sessions... There will be no confirmation hearing for a new Attorney General in 2017. If Sessions is fired there will be holy hell to pay. On attacking FBI Director Mueller: ""Any effort to go after Mueller could be the beginning of the end of the Trump presidency., unless Mueller did anything wrong. Right now, I have no reason to believe Mueller is compromised."